These disaster preparedness and recovery eBooks provide simple information on how individuals, families and businesses can prepare for and recover from a disaster such as a wildfire, hurricane, severe weather and more. To download these eBooks to your mobile device before a disaster happens, click the yellow ePub or Mobi buttons on the corresponding links. To see more books, please visit Disaster Preparedness and Recovery eBooks. 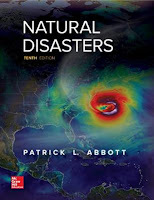 BookRix presents free e-books on natural disasters, based on the personal experiences of the authors or as products of their vivid imagination. Fleeing Callignee. Black Saturday, 7 February, 2009, the most tragic natural disaster in Australia's history. After several days with temperatures in the mid forties, many rural Victorian's were praying for the forecasted 'cool change'. No one could have predicted what the cool change would bring with it. A families fight for survival and a man's struggle to move on. de-Genesis. An apocalyptic version of Genesis, written from a very dark place. Lost to Sea. An anecdote about the tsunami that took Sri-Lanka and other Asian countries by surprise. A teenage girl recollects her memories of that frightful day. Teddy Tears. A poetic tribute to innocent young victims of Haiti and the hope they represent for the future of this Caribbean jewel. Friends Forever. A short fictional story of two friends held in the claws of a ravaging earthquake. NATURAL DISASTERS by Patrick L. Abbott. 10th edition focuses on explaining how the normal processes of Earth concentrate their energies and deal heavy blows to humans and their structures. Students have a natural curiosity about natural disasters and why they occur. This text explains why natural disasters occur by interweaving the themes of Energy sources, Plate tectonics, climate change, Earth Processes, geologic time, the complexities of multiple variables operating simultaneously throughout the text. Detailed and interesting Case histories are also intertwined with current content to give students a broad historical understanding of our dynamic and evolving planet. Global Help is an Internet publishing organization that promotes sustainable healthcare solutions worldwide across racial, cultural, or religious diversity. All book publications are free to view or download.